Mechanically attached or loose laid for ballasted roof assemblies. Installed according to RoofStar Guarantee Standards. See available insulation products in the Accepted Materials section of this Manual. Installed according to manufacturer’s instructions and RoofStar Guarantee Standards. 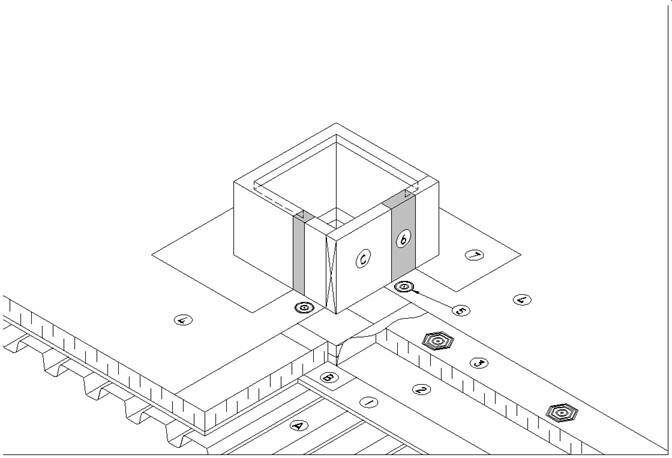 Install according to manufacturer's instructions (may vary from drawing). Proprietary, installed according to manufacturer's instructions, usually brushed, rolled or sprayed. Adhered to curb according to manufacturer's printed specifications using proprietary adhesive. Must be carried to outside of parapet or minimum 200 mm (8") above finished roof surface. Thermoplastic membrane may be welded or chemically bonded.